Security is always a priority when it comes to the protection of our homes, offices or other assets. It is widely acknowledged that despite its faults, the best monitoring practice is still advised to be the camera. However, ordinary cameras have many problems, mainly because they cannot be remote controlled. Thanks to the new generation IP Cameras, however, this issue is resolved. Now, users can check, view and monitor their home cameras straight from their computers, no matter where they physically are. Let’s represent some of the leading manufacturers of IP Camera systems today and see what they have on offer, for us to understand the basic concept behind the IP Camera Viewer Software. 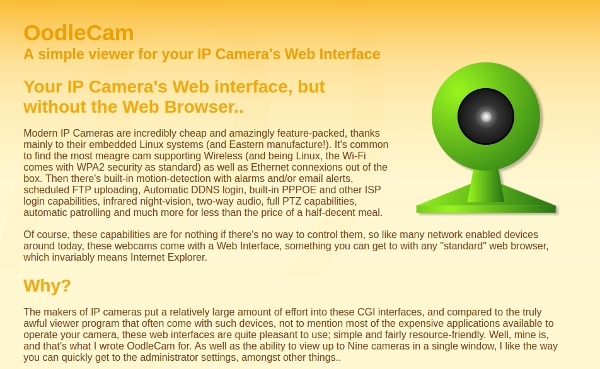 Thanks to their advanced camera technology, NetcamViewer is a Dutch company that offers sophisticated IP Camera Viewer software that can not only be used on your computer but also works from smartphones. The company offers lots of support and accompanying information for their products which you can buy straight from their website along with the cameras. With a very well developed website, you can instantly see that Foscam has highly advanced services, alongside with a great array of accompanying cameras, all coming with their software. You can see all manuals, installation guides, software tools with a handful of other relevant information on the IP camera view software of Foscam. 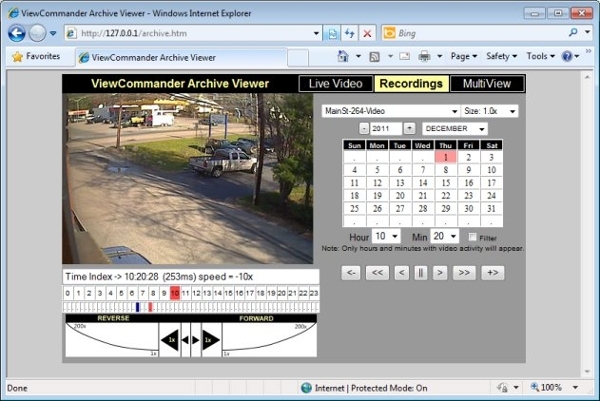 WebcamXP offers quality IP camera viewer software for Windows, which enables users for live monitoring on computer or smartphone from literally anywhere. It gives the possibility to make camera recordings and with that, you can also use this software to do live broadcasts. The software is perfect for industrial cameras as it offers a 24/7 monitoring. 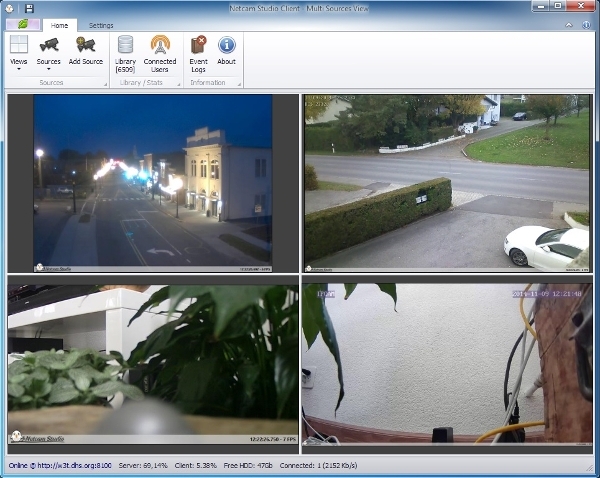 Being the successor for WebCamXP, NetCamStudio offers highly advanced IP camera viewer software which offers several great services, including lots of novelties, such as Auto detection, motion, and speed detection along with the setting for email notifications. The software works on literally any telecommunications devices, from mobiles to tablets and its client can be installed in any foreign language. 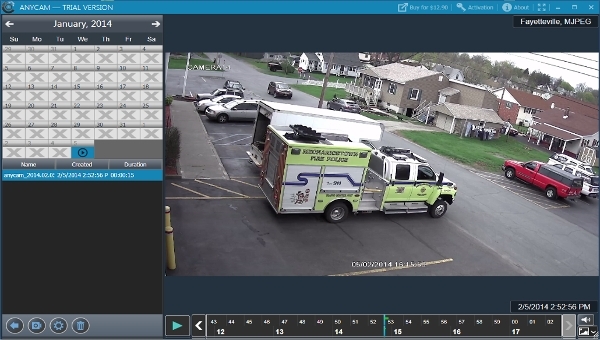 D-View Cam Standard Video Management IP camera viewer software is the perfect solution for larger industries who want to monitor a high number of surveillance cameras as this software supports up to 64 cameras. Alongside live video and audio monitoring, recording and playback it also can be integrated with other security programs that include vehicle counting, image stabilizing and other systems. ANYCAM is user-friendly IP camera viewer software that offers a lot of services for civil or commercial use. It is also one of the few companies in this field which offer a 30 day for their software. 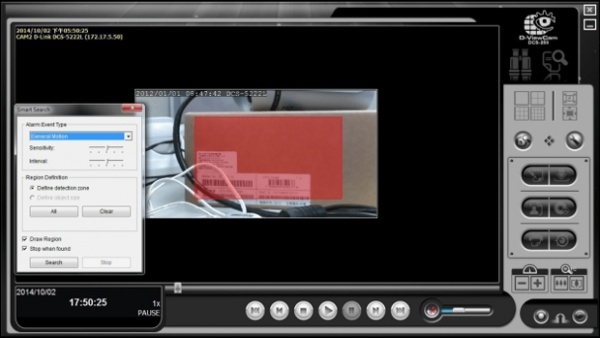 Extra features for ANYCAM’s IP camera viewer include video recording, archiving and playback with a very easy setup. Oodlecam offers a real new generation IP camera viewer software which has all the extensive services which its competitors have, but above that, it places a high importance on the easiness of performing camera and further personal settings armed with HotKey PTZ support, to remove control the cameras connected to it. It is a company to check out. CamViewer is quality IP camera viewer software which specialized on home security or other personal use offering a fast and user-friendly interface; CamViewer has all the most useful functionalities which make it perfect for monitoring your home through cameras in separate rooms. You can use this software up to 4 cameras. 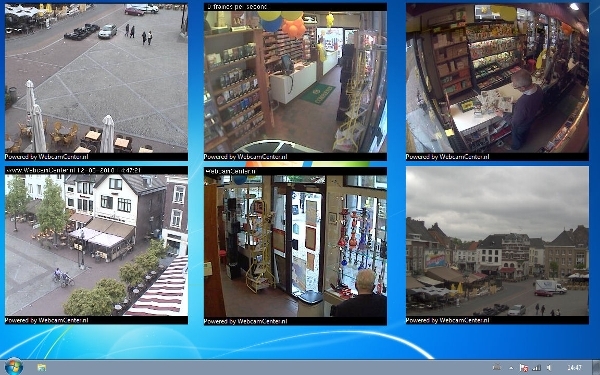 A real well trusted IP Camera Viewer Software that is specifically designed to monitor high-risk areas, therefore, its best suggested for commercial or industrial use than that of personal use With this software being sold in over 75 countries worldwide, ViewCommander offers multiple sorts of packages, tailored to users’ needs. Its two product lines include the NVR and the Mobile software. What is IP Camera Viewer Software? Camera surveillance can save lives and properties as this is a well-known fact, and in this day and age, there is still no other method which would bring the results camera surveillance does. With the help of their software, these cameras all work from the same hub which is none other than the computer or mobile device which you are using for monitoring. This way, live distance surveillance has never been easier. All you need to do is to make sure you buy cameras which can be used by the given software. Therefore, we always suggest you check out the cameras the software company has on offer. The other important thing is always to check the maximum number of cameras software can handle. IP Viewer Software companies also offer cameras sold straight on their website with the fitting software download opportunity. However, if you don’t yet have the experience in how to use IP Camera Viewer software, go for a product that offers a free trial or at least tons of information on its website about its products. How to Install IP Camera Viewer Software? The installation has never been easier than this day and age. However, most IP Camera Viewer software producers or distributors don’t automatically offer a free trial along with them. If you get to websites such as Foscam or NetCamViewer, which have some of the largest choices of cameras and accompanying software versions, we would suggest you to real through the information materials as to which software is specialized on what type of surveillance. You can also buy the accompanying webcams in the very same place. The video tutorials and FAQ on each and every website will help you a great deal learning about what is IP camera and why it is good or just useful using it. If you are thinking about the standard home protection, we would suggest you an easy to deal with software called Oodlecam offering extensive information on the mere concept of IP webcams along with their pros and cons.